I am so glad that all the IT experts and billionaire stock holders have gave us peasants their two cents. Yes they botched it, and I have to get out of the beta test. However its so much easier to look from the outside and critique what is wrong than to offer solutions. and the "greatest tech company in the universe" once again proves how inept they are. In today's world your SSN is not recommended to be used as a form of identification because of all the threats out their for stealing your identity. However, many years ago it was regularly used as a form of identification which is why it was on various medical cards and the such. Heck there was a time long ago that you could use it as one of the two forms of ID some retailers required when you were using a check to pay for products. Sounds crazy now! These executives are terrorists. Rolling out every program broken and unprepared. This stuff is all a nightmare for its sellers. I hope everyone leaves them with their broken platform and no quality goods to sell. Dander, you will not be getting out of payments once you are in, just like all sellers in the end will be forced into Seller Hub and eBay payments. Moronic Devin is pushing his destruction based on his lies to Wall Street about how Payments and replatforming are going to add to EPS big time. We know he is a lunatic who has ruined the eBay marketplace, just a matter of time before negative financial numbers force this fool out onto the streets. Nearly 20 years ago eBay had their own payment processor- Billpoint. Back then, there was no problem "integrating" Billpoint with PayPal, Bid Pay, Yahoo Bill Pay, or snail mail payments. Yet today they claim it's "tricky". Why isn't it "tricky" for Etsy? It's "tricky" because 20 years ago there were no contract Indian programmers. Devin Wenig keeps selling shares of eBay as the stock continues to drop, there is a fire sale going on among insiders at eBay. "It's "tricky" because 20 years ago there were no contract Indian programmers." This. My employer has been going through a brain drain the last several years as well. Good people get tired of holding the place together and move on while the dead weight floats up. Now they don't know how to actually _do_ anything besuides spout buzzwords so they believe every lie the visa holders feed them. It's sad. I remember Billpoint. My memory of it is not the same as some others. For me, my customers could still use PP and it did not have anything to do with Billpoint. But then that was a long time ago and maybe my memory is not serving me well. Most people know that Ebay lies every time. first of all eBay is not getting any of my banking information - I pay all my debts with a credit card that I can cancel if need be. I wish you the best in getting out of this Beta Test, I really do. But Ebay has made it very clear that nobody is allowed to opt out. It appears that your best solution might be to open another ID and move things over there if you cannot get out as I along with many others think that not being able to accept Paypal until next year sometime is going to be fatal to most businesses on Ebay because they trained the buyers that Paypal is the only safe way to buy on Ebay. Now they are suddenly going to say we don't accept payment by Paypal but others on here do? I wish the best for you but really think you might want to look at that option. The fact that Ebay admits this much tells me there is a lot more issues than this as they NEVER disclose it all. Things are probably 3-4 times worse than they are actually admitting which is why they need all this time for the Beta Testing and will not allow anybody to opt out. That alone tells me that even they know its the kiss of death. Sellers are getting killed on eBay as far as slow sales are concerned for a long while, many are closing stores, product based search/Devin's copying of Amazon product pages will kill off millions of sellers next. 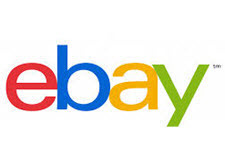 Sales have been decreasing for about 3 years now while Ebay demands sellers jump through more hoops. I have 2 stores with over 2000 items. So far this month I have a total of $115 in combined sales. Not even enough to pay my fees. I used to sell from $3000-4000 a month on each store. And if you just cancel your stores you must pay BIG cancellation fees too. With all the claims for items as not described continue to mount up get used to having to pay the increased fees too. Look at this from a buyer who says they can not purchase on eBay due to eBay site programming, for about two years eBay could not serve web pages to Windows 10 users on IE 11 with automatic updates. What does that tell you sellers about eBay's technical ability. Hello, I'm not a seller but a customer. Recently I could not purchase anything beyond seaweed, because the moment I scroll down to the description section the browser freezes and starts acting haotically. It jumps up and down, apparently responding to my attemprs to scroll with a significant delay, and so it overshoots. I find this very frustrating, and so i leave. I'm on windows 10 professional, google chrome, the latest machine and fast internet connection. The last easy experience I had was probably this spring (don't recall when exactly) but it has been impossible to buy anything new lately. This problem with the user interface could be why your sales are down. I know I could not buy anything for this very reason. What should actually be scaring all of us even more that we have not seen addressed, is the fact that Ebay is admitting this much is wrong with things. If Ebay is having this many issues that they are willing to admit they have, just how many more are there that they are not admitting. We all know that Ebay does NOT willingly make any type of comment about problems with their site (remember the constant green check marks on the Status Site, or the lack of comments about issues with the problematic cart or willingly admitting that key employees have left the company) so if they are so willing to address these issues, dare we wonder just how many bigger ones there are that they are hoping we will not think about or mention. I'm so glad that I never even considered opting into their payment system and so far this totally reiterates my decision to already be off of Ebay when they completely switch over to this master of disaster plan of Wenigs. Silver, sales are so slow it is like 'being off eBay' when you have a 1,000 items active on eBay. So you have nothing to lose if you list only free listings, the sellers who are losing are those tied into store contracts like the guy in my prior post who can not pay his fees. When a seller can't pay his fees he is off eBay, because eBay suspends the selling account, this will happen to millions of sellers in the next year or two. Sellers have been getting suspended for lack of ability to pay fees for the last 3 or 4 years due to non-existent sales on eBay. I don't think most sellers could make it thru a full year on ebay without PayPal , no way, I just can't see it. What is the real test?